Who said dressing in camo gear and playing with guns was for boys only. If your hen is the sporty type, then she will love a game of laser tag. Less painful than skirmish but just as much fun, you’ll be scoring points by tagging targets with your infrared laser gun. Most laser tag centers are indoors so this is a great idea no matter what the weather is like outside. Champagne in one hand, canapés in the other whilst watching the sunset over the water…dreamy and romantic and such a great way for the hen to spend time with her closest friends. A memorable and relaxing evening that the hen surely deserves after all of the hectic time spent organizing the biggest day of her and her partner’s life. If your hen just wants to chill out and let someone else do all the work, a weekend of pampering is sure to get her ready for her big day. Escape the rat race and head for the hills and spend time being wrapped, scrubbed, massaged and blow dried. She’ll come back feeling ready to take on the world (and her wedding day)! Whether your hen considers herself a home chef or she struggles to cook a piece of toast, have a night of cooking delicious dishes and then drinking the best whites and reds to suit those meals. Nothing brings a table of guests together like great food and conversation and cooking is always more fun when done with friends and a glass of wine in hand. Making your girlfriend’s hens night memorable won’t be difficult with these great ideas. 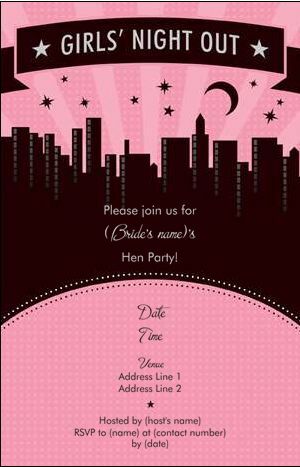 There is a unique experience to suit every hen and her chicks! 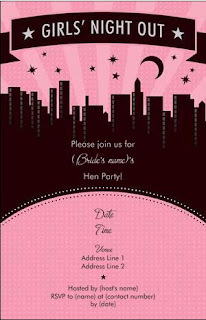 Celebrate in style and throw a hen’s party that will be remembered for many years to come. Show those boys you don’t need them to have a great time. Who knows, you may even challenge them to a game of laser tag one day! **This is a sponsored post.. I was compensated for sharing my blog space with the author for this post.